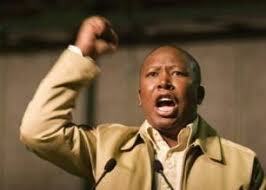 Julius Malema's controversial singing of this old Umkhonto We'Sizwe song, 'Kill the Boer' must end. The court ruled today that 'Kill the Boer' constitutes hate speech, and it is no longer permissible to sing 'Kill the Boer' . Umkhonto We'Sizwe spokesperson says MK will investigate appealing the ruling up to the constitutional court level. No doubt the ANC Youth League and their rabble rousing leader Mr Malema will be hard on their heels. On the one hand, it is high time Mr Malema and his tsotsi brigade were brought to heel. Their conduct over the past few years has brought disrepute to this great nation, has created rifts in society and fermented hatred and intolerance. The other side of the coin, I grew up in a South Africa where Freedom of Speech did not exist. Many of us felt the old Apartheid Regime wanted to even deny us freedom of thought. Numerous South Africans suffered for the right to freedom of expression. Not least of those were some of our greatest, Nelson Mandela, Govan Mbeki, Walter Sisulu, Steven Biko among them, not to forget those less visible, Helen Joseph, Molly Blackburn, Sarah Duncan as well as many others who remained obscure and relatively unknown, myself included. Many were deprived of their liberty, and murdered at the hands of the powers that ruled. Definitely this saga is not over. Will the Constitutional Court uphold this ruling, for the good of the majority of South Africans as the constitution permits, or will it decide that freedom of speech is of greater importance than peace in our land?